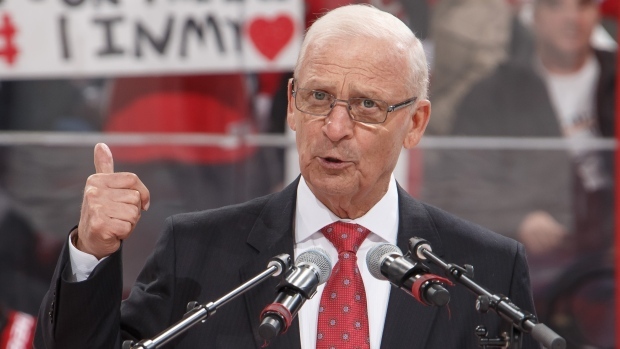 The Ottawa Senators announced Saturday the team would be hiring a president of hockey operations to fill the void left by the late Bryan Murray. Senators’ owner Eugene Melnyk shed further light on the search Sunday, saying the team is looking to find someone with the same pedigree as Murray. Murray joined the Senators as head coach of the team in 2004 and moved to the general manager in 2007. He stepped down as general manager after the 2015-16 season as he was fighting colon cancer but remained a senior adviser to the team until his death in 2017. Melnyk said Sunday that adding a veteran voice to the hockey operations department has always been his plan, but he didn't want to rush into replacing Murray. He added the time is now right with the Senators ready to move forward with the next phase of their rebuild. “What do you think it’s going to take? You’ve got all these assets. This is why I waited until now. I wanted to wait until the slate was completely clean. You’ve got all these draft picks coming up, all these prospects down in Belleville and you have all the guys who have moved up,” Melnyk said. Murray spent 35 years working in the NHL and coached the Senators to the Stanley Cup final in 2007. Melnyk stressed that experience with deep playoff runs will be crucial in his next hire. “It’s very important. They have to be a winner,” said Melnyk. “They don’t necessarily have to have won a Stanley Cup - because I think there’s something to be said for somebody’s who’s hungry. Bryan Murray never won a Stanley Cup, but he was still one of the greatest and one of the best. The Senators will miss the playoffs for the second straight season this year after falling in Game 7 of the Eastern Conference final in 2017.